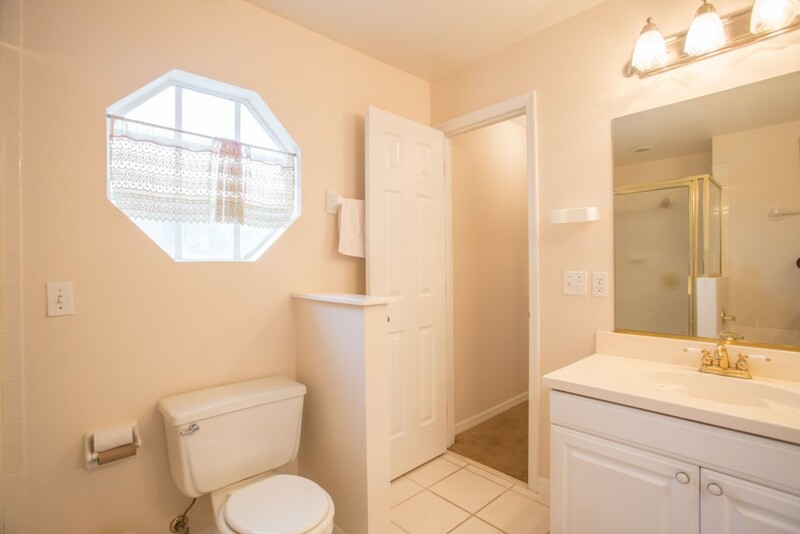 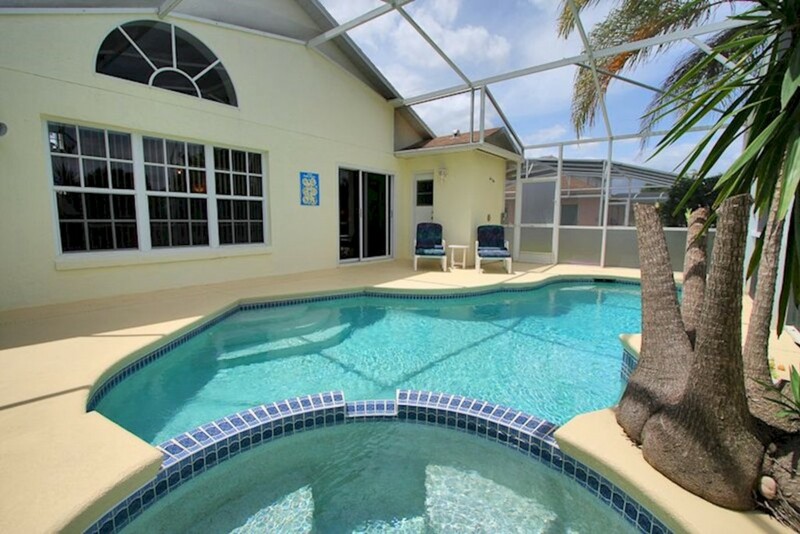 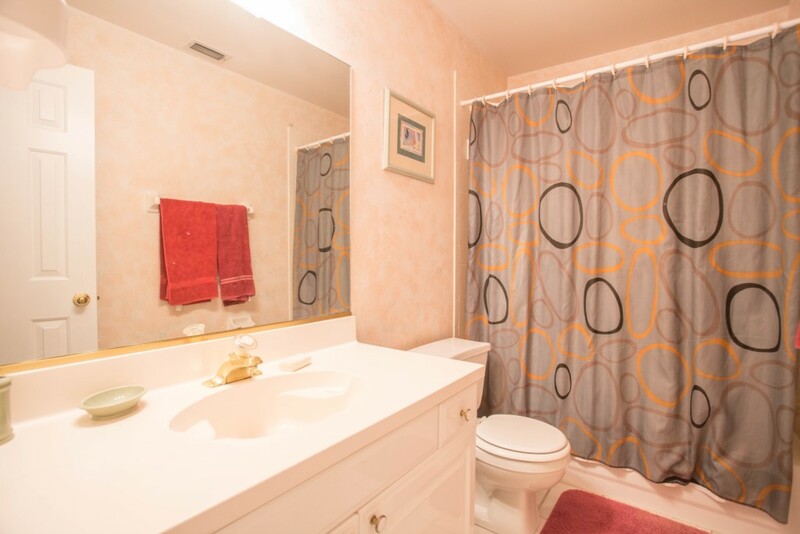 This 4 bedroom, 2.5 bathroom home is located on Oak Island Cove and will accommodate up to eight guests in comfort. 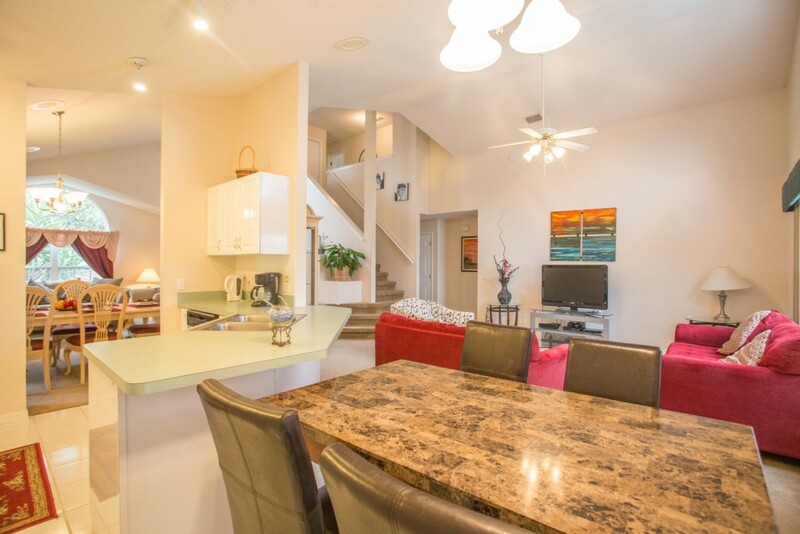 The villa is equipped with everything you will need during your stay and the fully fitted kitchen comes complete with all modern appliances. 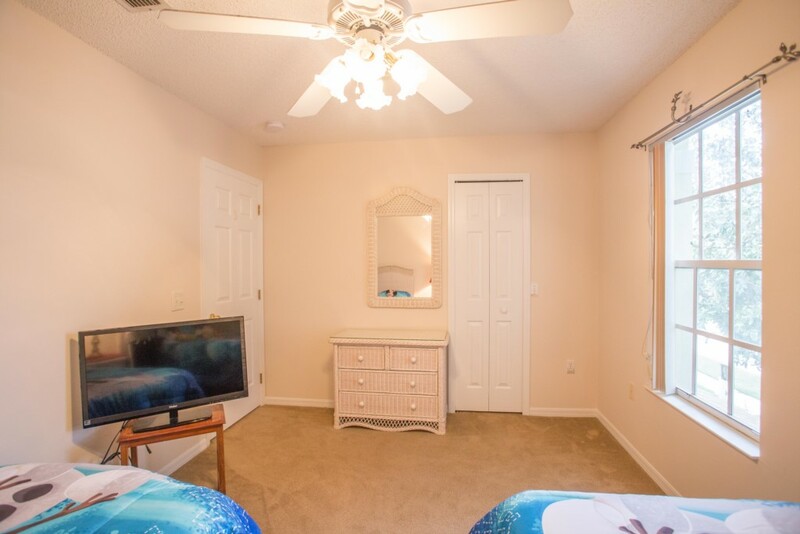 The bedrooms consist of one king room with en-suite bathroom, one queen room and two twin rooms, all bedrooms have television. 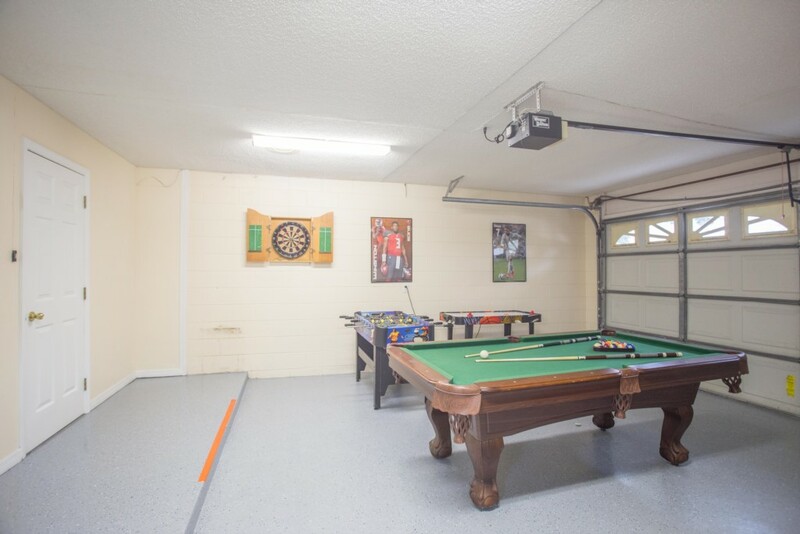 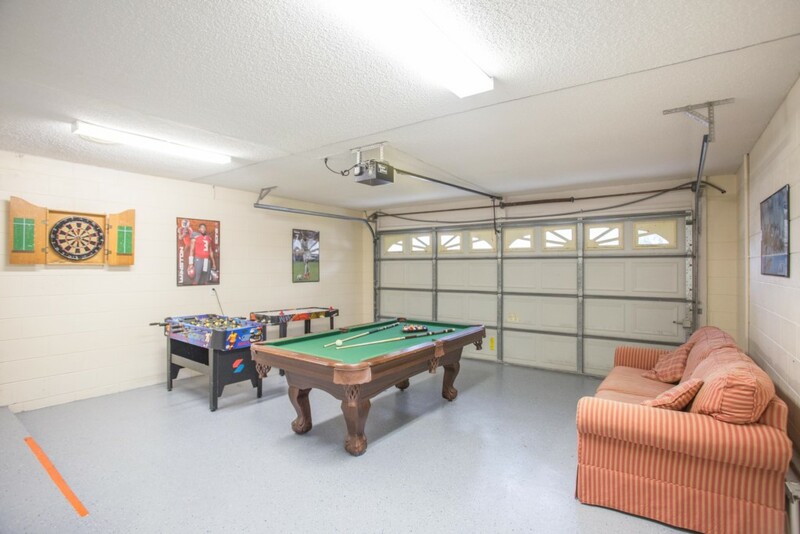 For guests enjoyment there is a games room in the garage which has a pool table, air hockey and a foosball table, free WiFi is also available throughout the home. 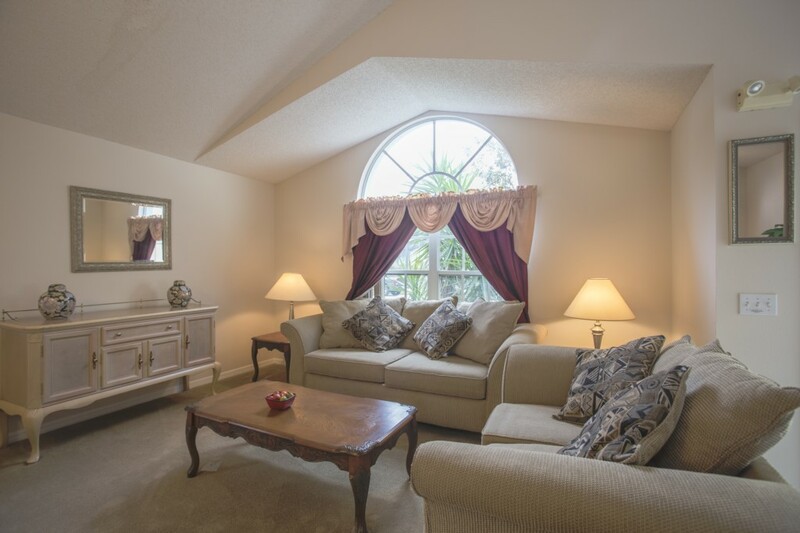 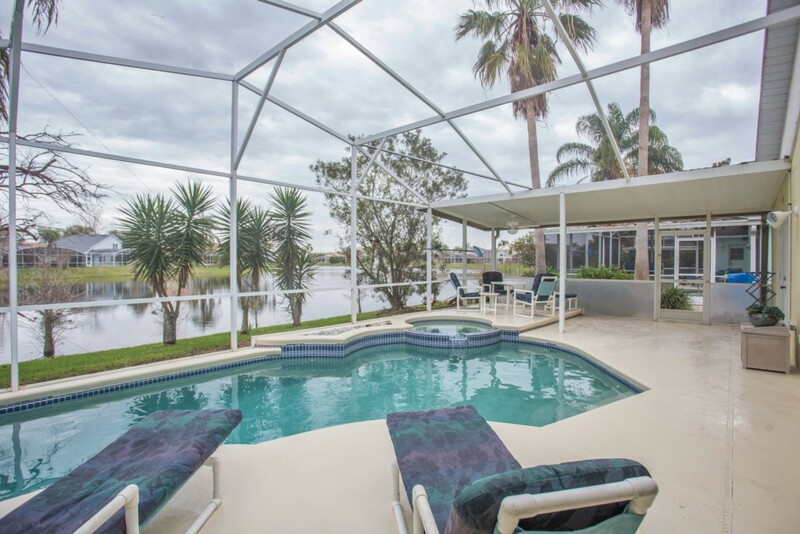 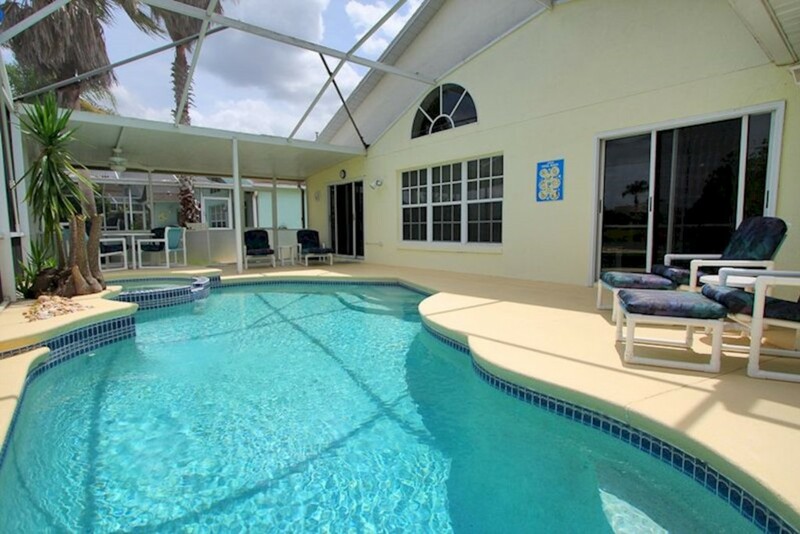 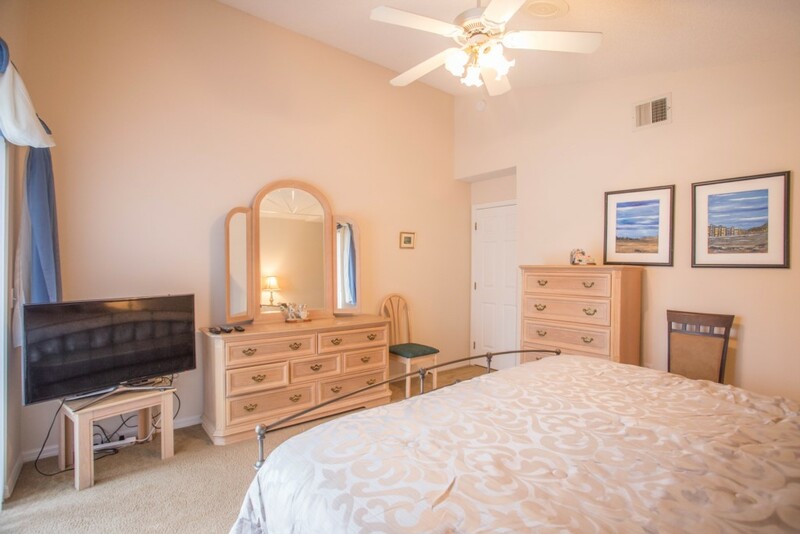 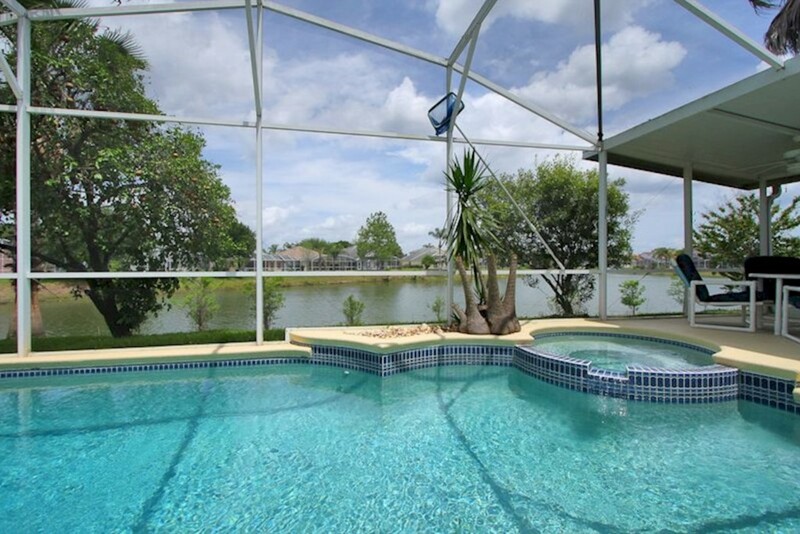 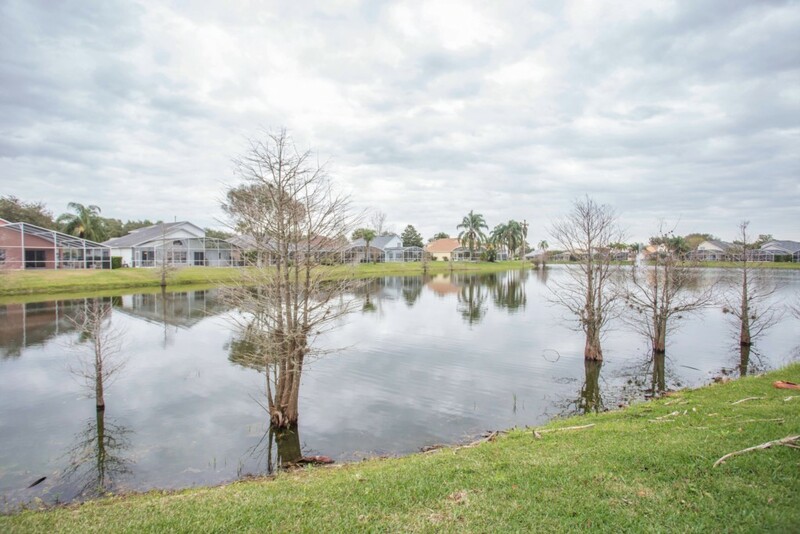 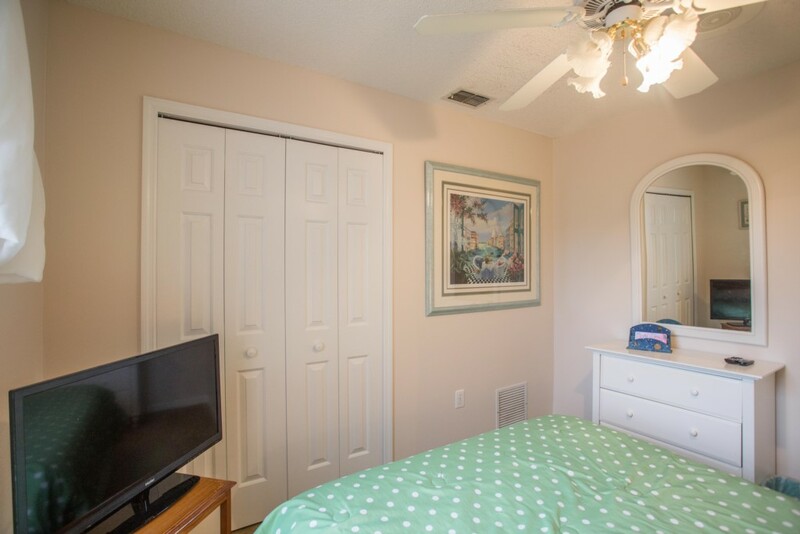 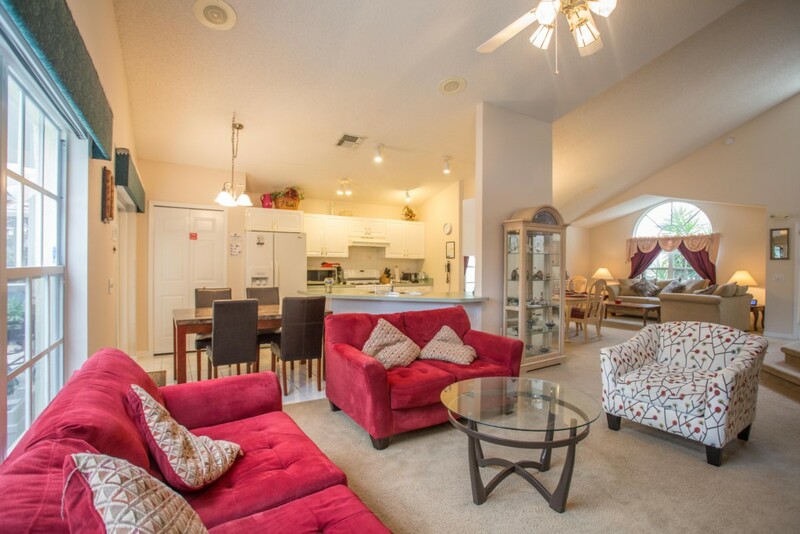 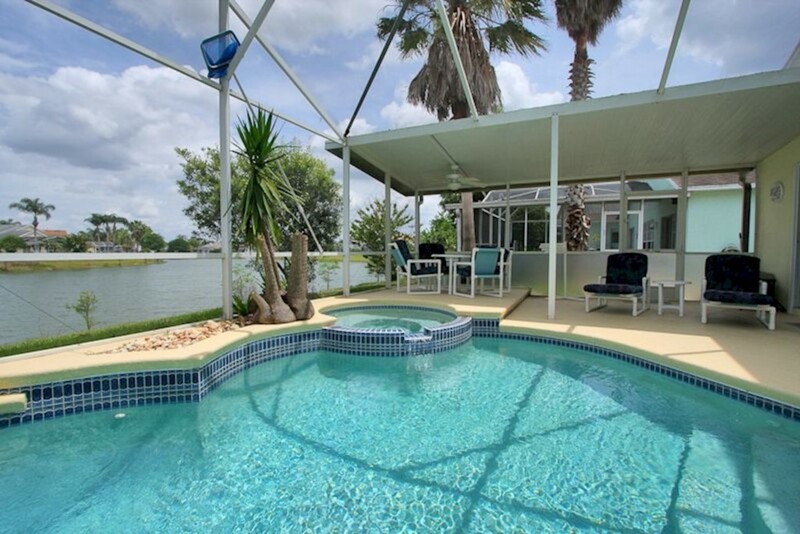 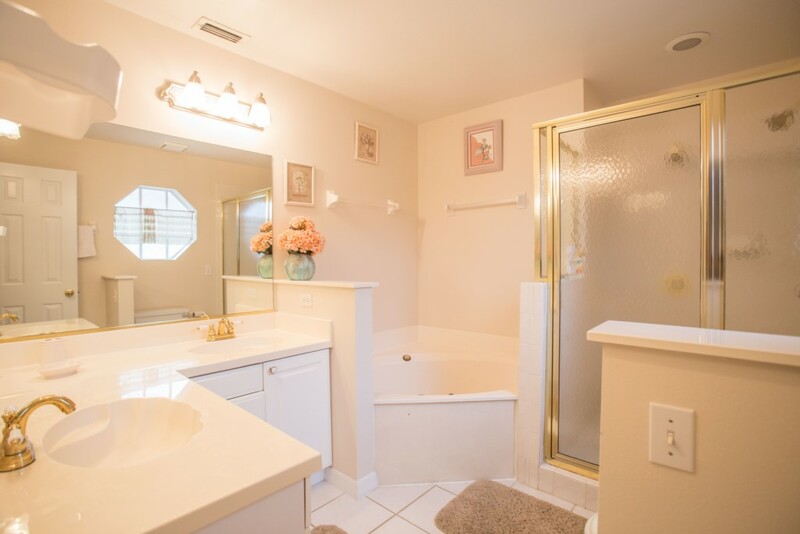 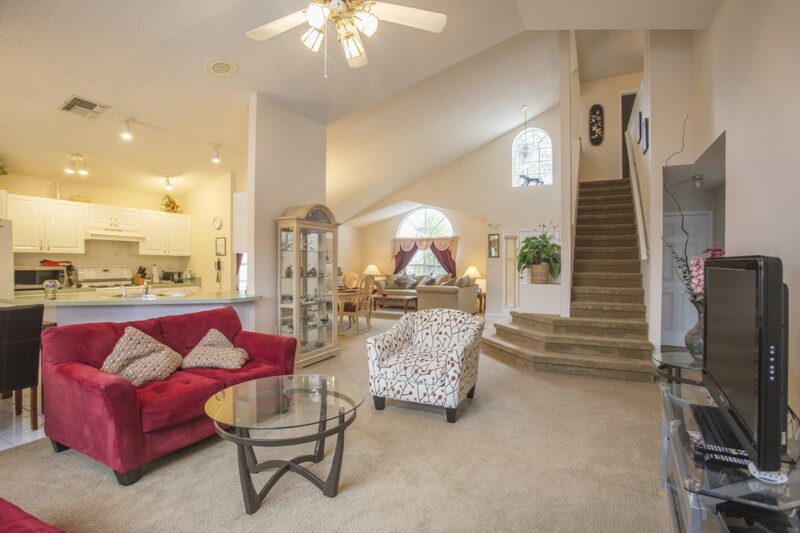 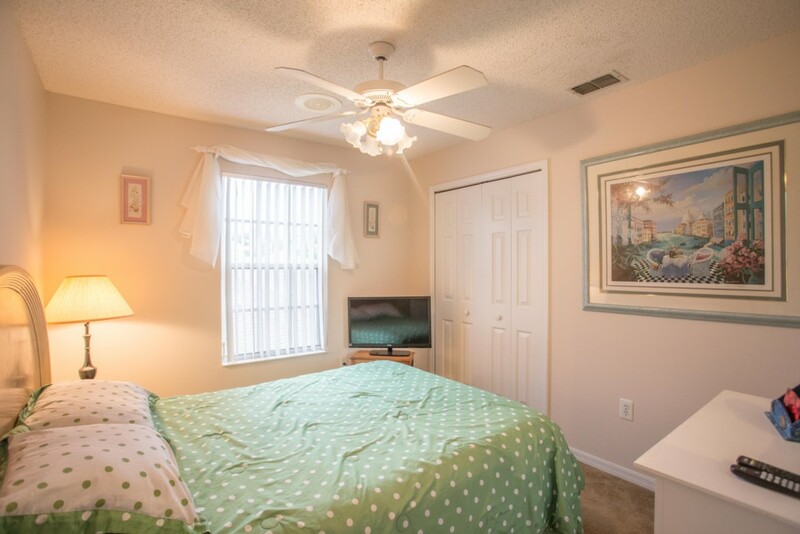 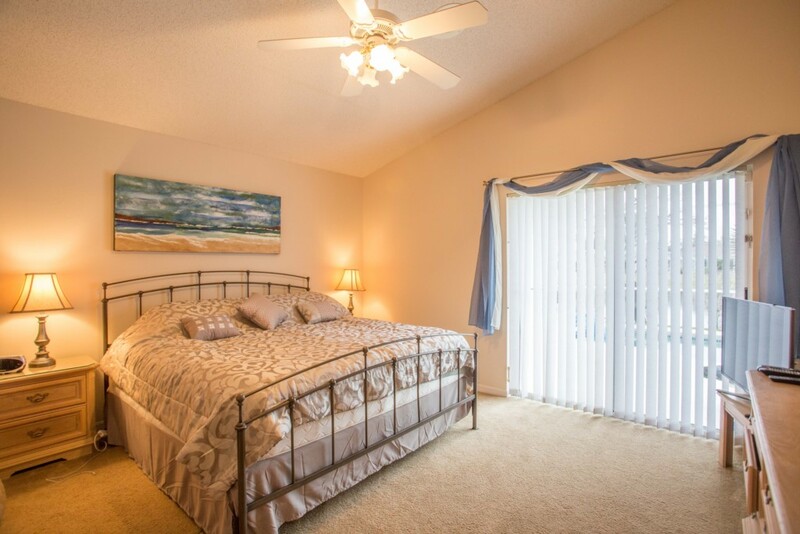 Outside you will find your own pool and spa overlooking the lake and the sundeck is equipped with outdoor pool furniture, for those looking for some respite from the sun there is also a shaded lanai area. 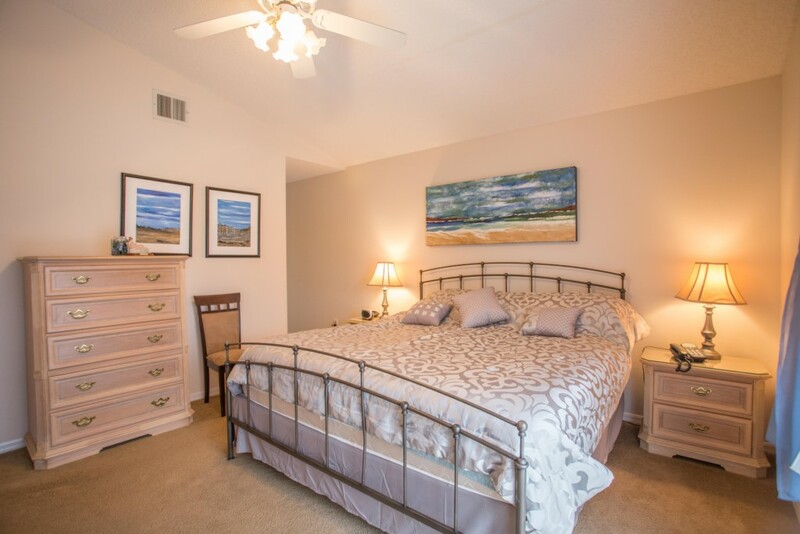 Oak Island Cove is a well maintained community that is located just off the Highway 192 in the area of Formosa Gardens. 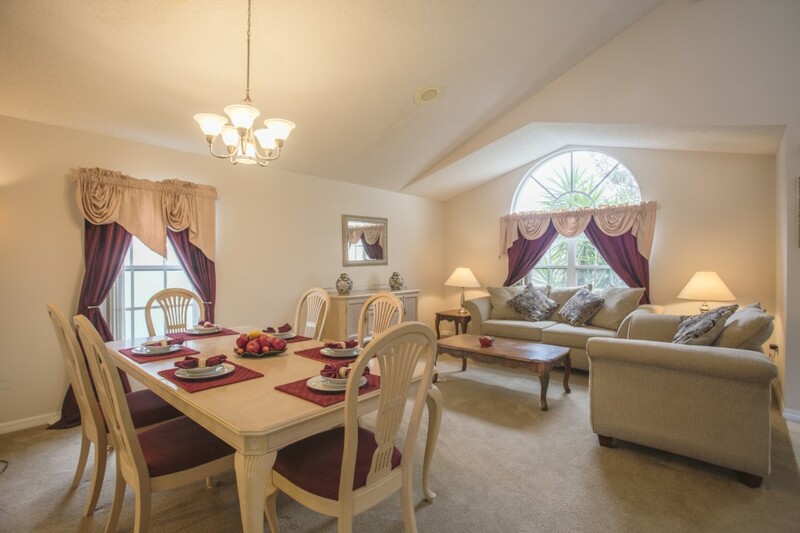 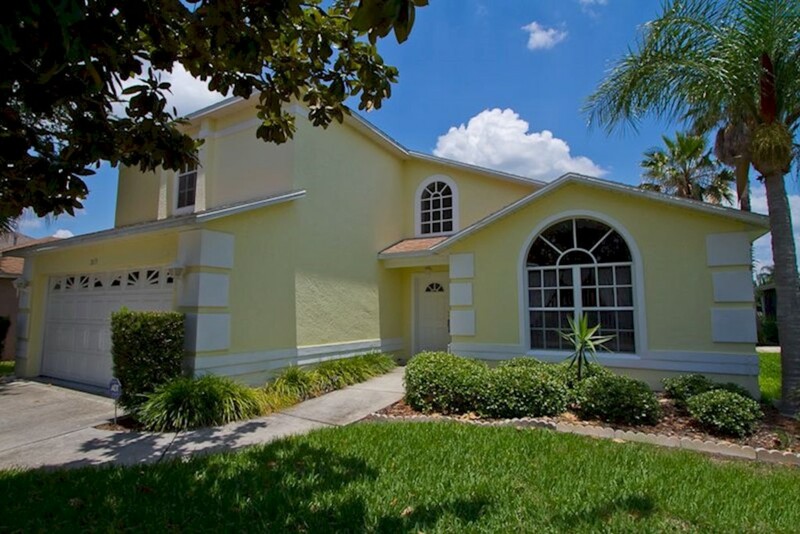 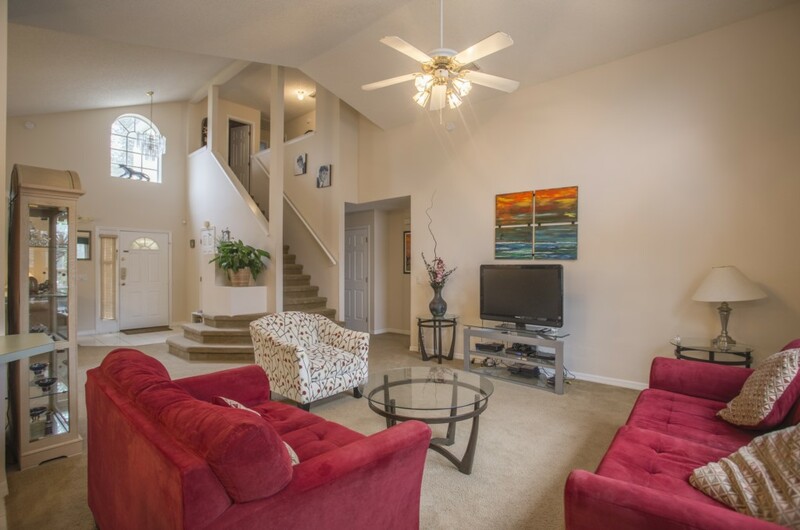 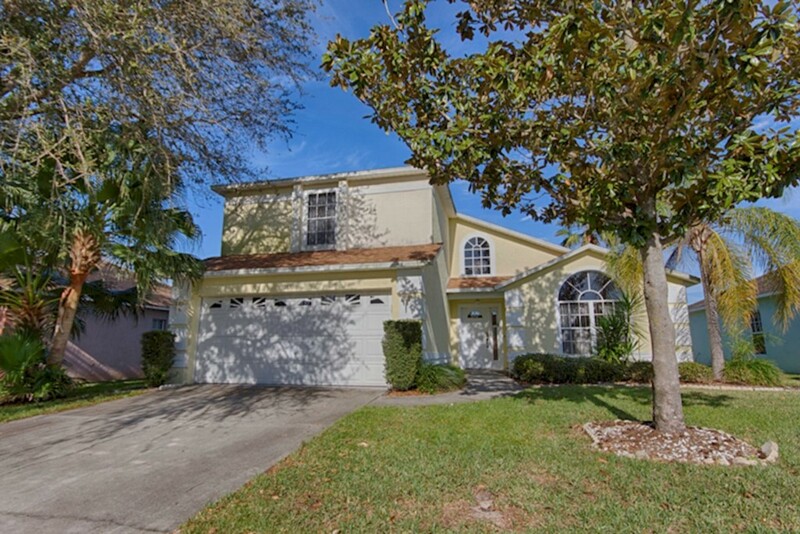 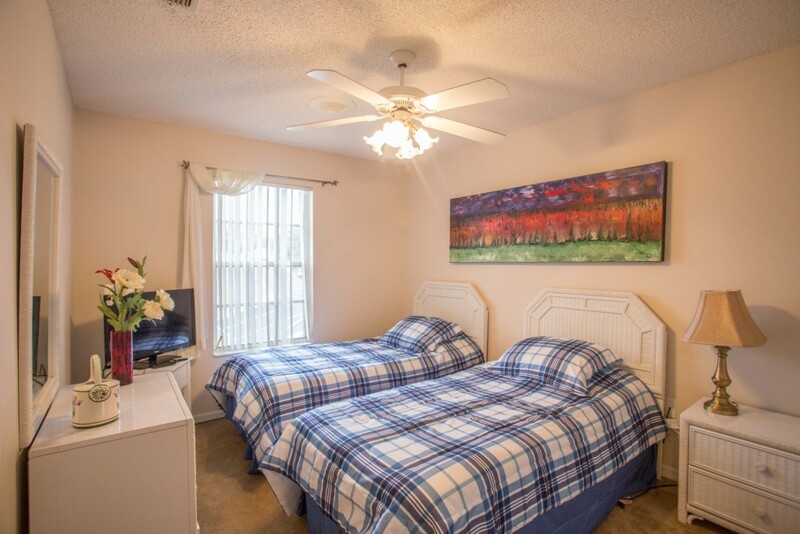 The community’s location to the Highway 192 allows easy access to all the major theme and attractions that Orlando has to offer. 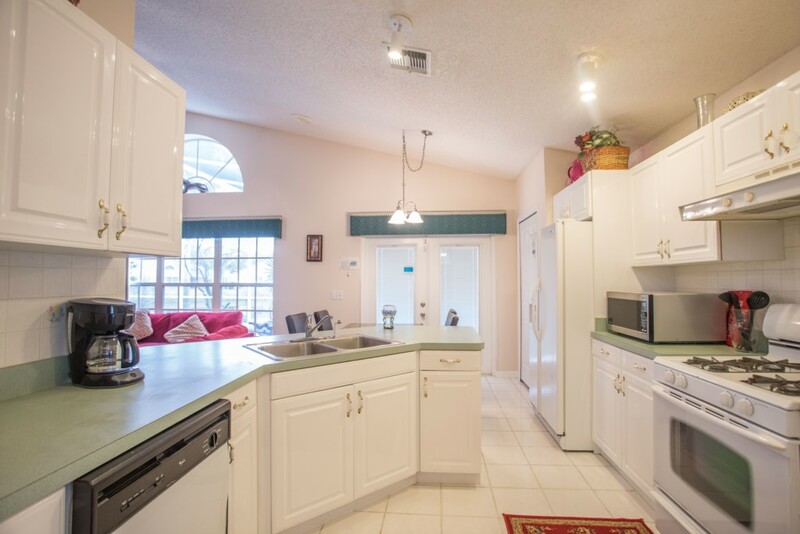 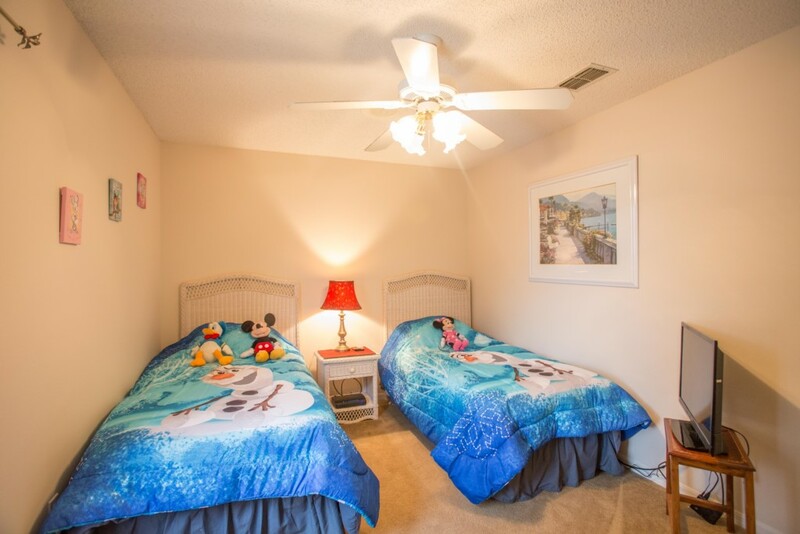 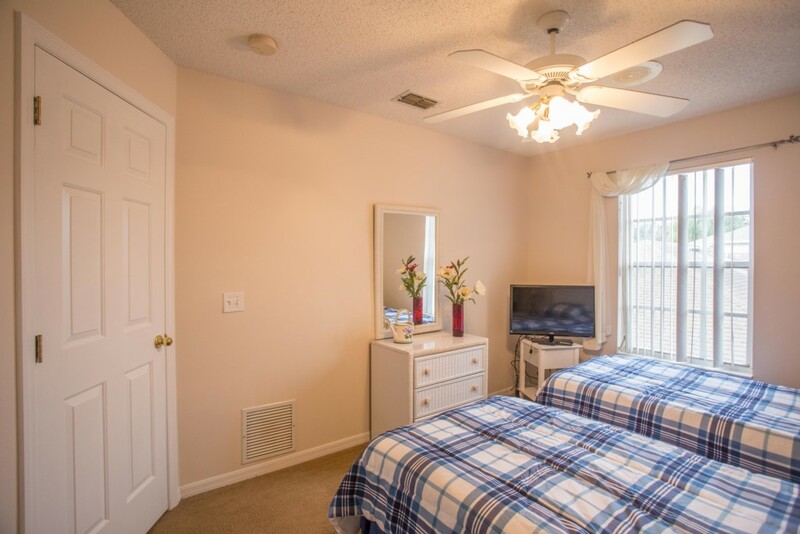 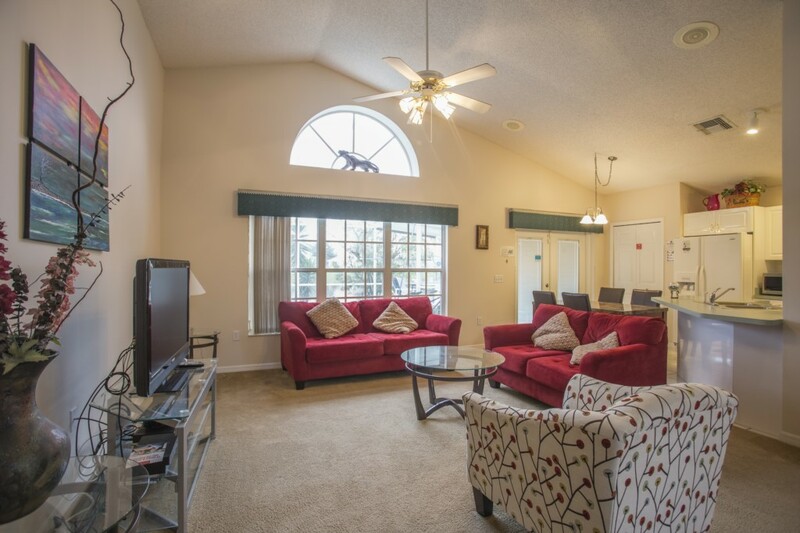 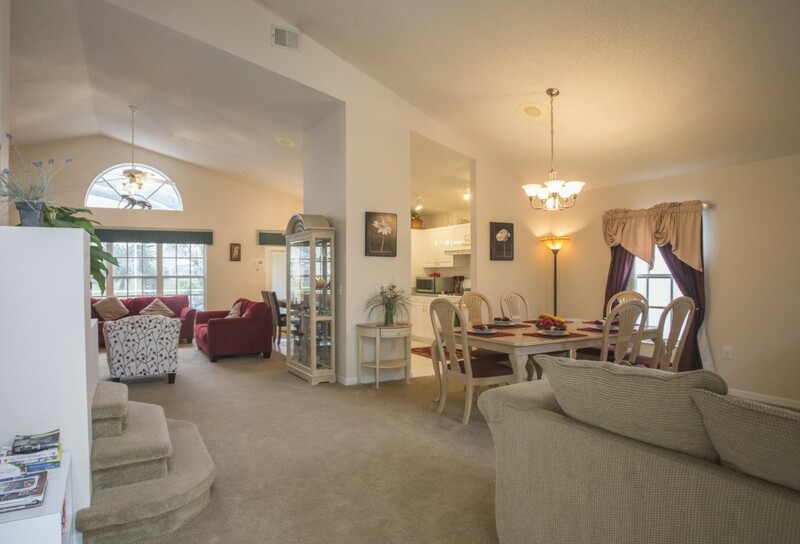 Walt Disney World is approximately a 10 minute drive away and within a few minutes drive you will find the Formosa Shopping Village, a 24 hour Super Wal-mart, gift shops and the many food outlets and restaurants that are situated along the Highway 192.